Vt Ski and Snowboard Museum Event! STOWE, VT: (Dec. 1, 2017)- What is it like to race on the FIS Audi World Cup against the fastest ski racers in the world? How do you hold an edge on concrete-hard ice while turning at 60 mph? On Thursday, December 7, on the heels of the Killington World Cup, the Vermont Ski and Snowboard Museum kicks off the first of its monthly Thirsty Thursday speaker series with a roundtable talk with some of the top racers in the state. Get the insider's view of racing on the FIS Alpine World Cup events around the world with Olympic and World Cup racer Jimmy Cochran, US Ski Team member and UVM athlete Paula Moltzan, Igor Vanovac-a former member of the Yugoslav National Team and a Chief of Course for the Killington World Cup, and Tucker Marshall, (one of the upstart Redneck Racers) who is competing on the world circuit without support of the U.S. Ski Team but with a whole lot of humor. Marshall will also share some of his insightful and often hilarious videos from the Redneck's training and racing. The roundtable discussion will be moderated by Bill McCollom, a contributor to Ski Racing. A photo booth will be set up so guests may have their picture taken with an authentic World Cup crystal globe. For this special occasion, Vermont Ski and Snowboard Museum brings out one of the first crystal globes ever awarded. After ski racing legend Jean Claude Killy won the first two World Cups in 1967 and 1968, Austrian Karl Schranz won in 1969. The event will be from 6:00 pm to 9:00 pm with cash bar and light snacks. Admission is free with a suggested entry and photo booth donation. For the second year, the Vermont Ski and Snowboard Museum will be hosting Thirsty Thursdays parties and roundtables each month. The evenings are sponsored by Collective Arts Brewing, Hetta Glogg - a new après-ski liqueur - and Vermont Ski + Ride Magazine. Vermont Ski and Snowboard Museum, located at 1 South Main Street in Stowe, VT, has been interpreting and sharing Vermont's ski and snowboard history for 15 years at its Stowe location. 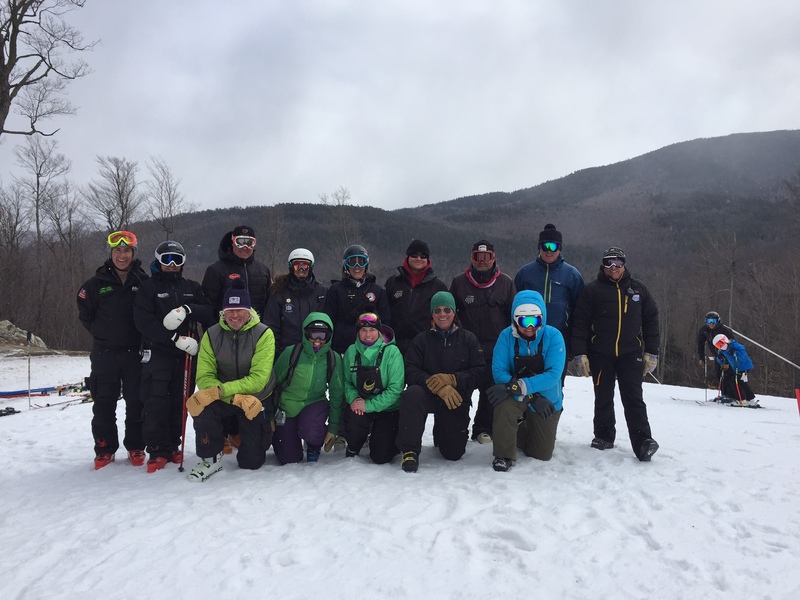 Ellen Hall and John Casson, US Ski and Snowboard Sport Education Department, came to Killington in October to talk to the Eastern Region clubs and programs about US Ski and Snowboard Club Excellence. Check out the video! VARA's Youth Coordinator, Alex Krebs, has an insightful interview in the piece. USCSA College Fair! [More] info on link. 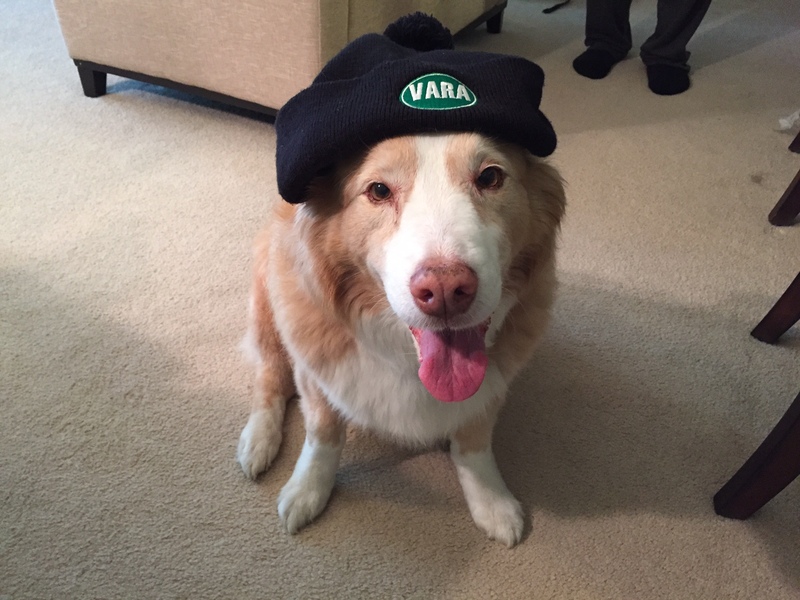 VARA WC PARADE Info - Don't be that kid without the hat! 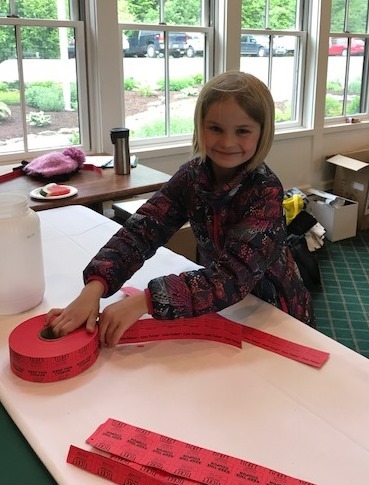 VARA GOLF 2017 Recap - Lot's of help from Lillian! VARA World Cup Athlete ParadeThanks! 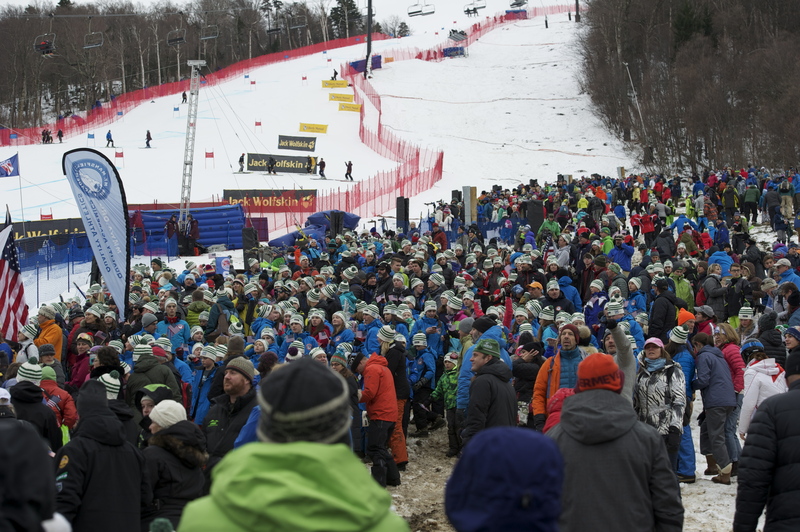 The World Cup at Killington Is Coming! NEW ENGLAND SNOWBALL- BOSTON MASS.- Coming Up! VARA's Ryan Cochran Siegle wins the USST's SUFFERFEST! TEAM PICO WON WITH A 5/5 SCORE!! WHO IS THAT...... focusing on that little green square?! 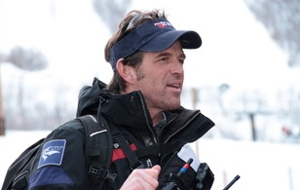 Congratulations to Kirk Dwyer and his new position with Ski Club Vail. Former USST Athletes from left to right, Alex Krebs, Amy Ring Bennett, current USST athlete Mikaela Shiffrin, Kirk Dwyer and former USST Athlete Ashley Davenport Sargent. U12 Boys being U12 Boys! What a great race-Thank you to Cochrans! Thank you BOC athletes and Sue! What an amazing staff! Thank you to all involved in making this a wonderful experience for all. VARA Boys-6 out of the top 10! Good luck to all of our VARA athletes this weekend. 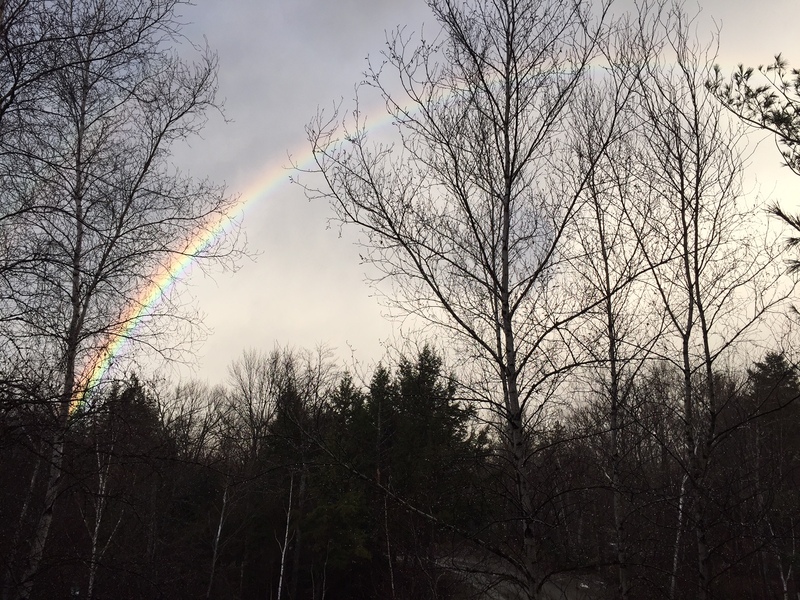 St. Patrick sent a special good luck rainbow, is there gold at the end of that rainbow? Many thanks go out to MMSC and Stowe Mountain Resort for hosting a spectacular VARA U14 State Championships sponsored by Briko and World Cup Supply. The weather held out on the weekend for a fantastic couple of racing days under bluebird skies! MMSC course crew, under Igor Vanovac's guidance, put on quite a show with a world class hill. The U14's may not realize the work that went in to creating such a perfect hill for their event but they were lucky to have the opportunity to race on such a manicured race hill. Thanks to all the race officials, gate keepers and volunteers for helping make this event a great one for everyone involved. Thanks again to the hard working crew at MMSC. Below is a shot of the Women's GS. 2 U14 Boys from different councils hanging out together at States! VARA U14 Girls Training Day at Pico! Last week, the Vermont Alpine Racing Association lost a great friend and core supporter of our youth and of our sport. 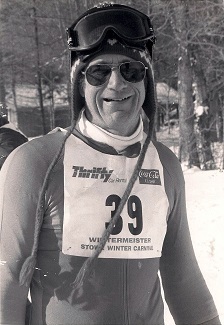 Dave Pinder was a passionate advocate for the Bromley Outing Club, for its members and for ski racing in VT and beyond. Under his leadership, Dave helped advance the development of one of the oldest ski clubs in Vermont, a club that has some of the richest history of ski racing traditions in the state. 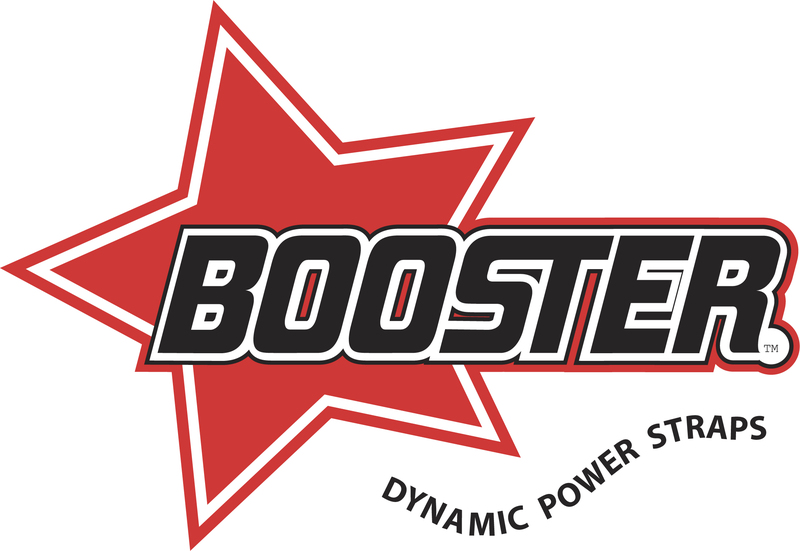 In recognition of the quality of its programs and of Dave's efforts, earlier this year, BOC became one of the first club programs in the region to be awarded Podium status by USSA. Dave was passionate about what he viewed as the essential role of the club program within the sport and within the USSA system. Always a strong advocate of programs that bring young people into the sport, Dave was an early adopter and enthusiastic supporter of initiatives to improve technical skills training for athletes and coaches. He was also an advocate for programs that keep club level racers engaged in the sport through high school, college and beyond. 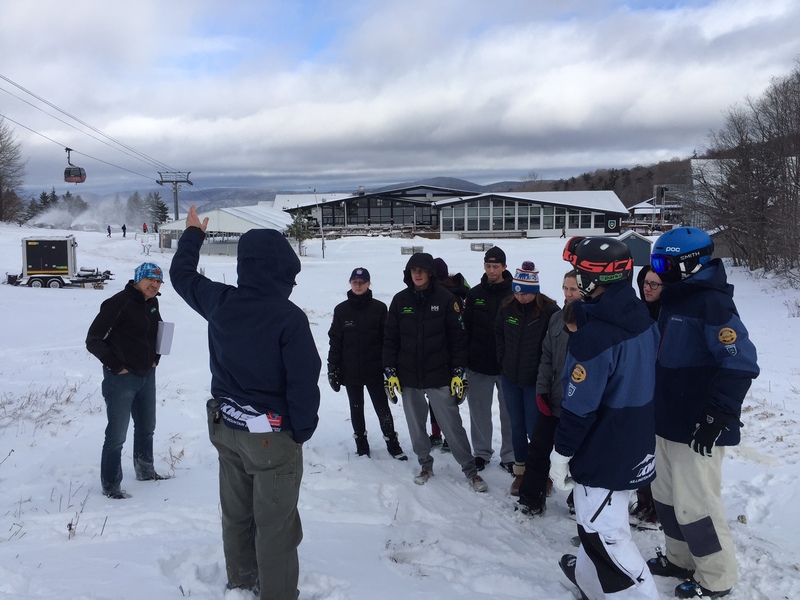 Under Dave’s leadership BOC strengthened its ties to the local high school through development of the Burr and Burton Academy Academic Ski Program and by integrating training of the BBA alpine ski team with the BOC U18/U21 program. 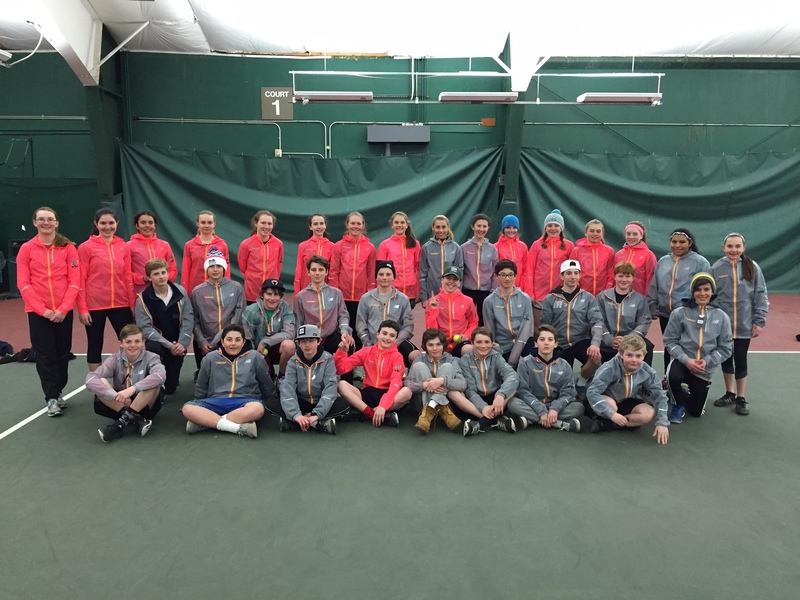 This initiative resulted in one of the strongest high school programs in the state, winning four boys' and one girls' state championships and providing several members of the Vermont state team that won the Eastern US High School Championships last year. Many successful academy athletes came out of BOC programs, and four out of the last eight recipients of the VARA Betty Clayton Award have been from the BOC. "It is with great sadness that I learn of the passing of Dave Pinder. 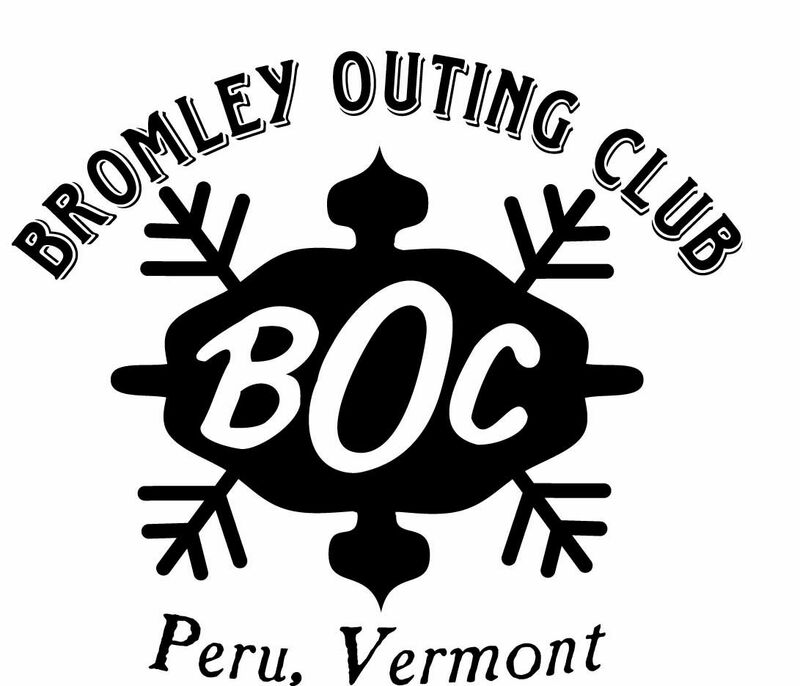 As the leader of the Bromley Outing Club, Dave was a central part of the vibrancy of the BOC, and an important part of VARA and USSA. Long standing and successful clubs such as Bromley’s play an critical role in the very fabric of our grass roots and participation in our sports. 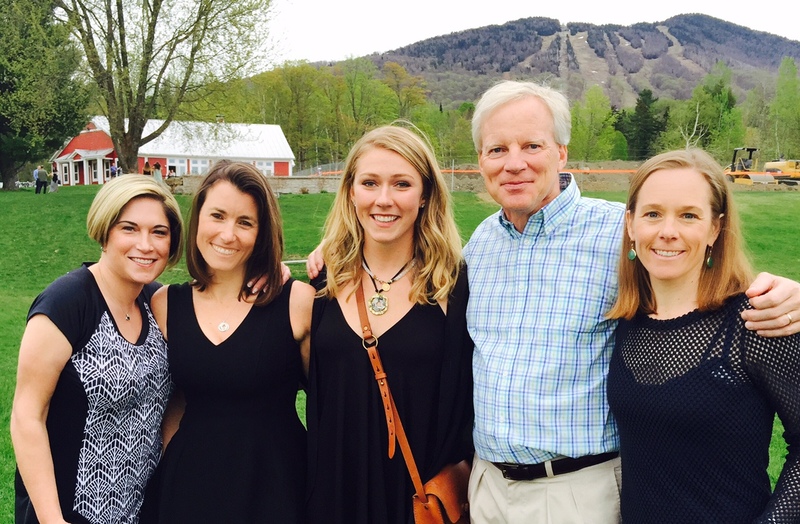 Dave, as a committed leader of Vermont’s alpine and freestyle skiing youth, was the epitome of dedication to youth sports. Our thoughts and prayers go out to David’s wife Lindsey, daughter Mia, and his entire family." On behalf of everyone here at VARA, we wish to extend our deepest sympathies to Dave's wife, Lindsey, his daughter, Mia, the Bromley Outing Club, and all of the families and children that Dave impacted. VARA is richer for having had him. He will be missed. Stratton did it! 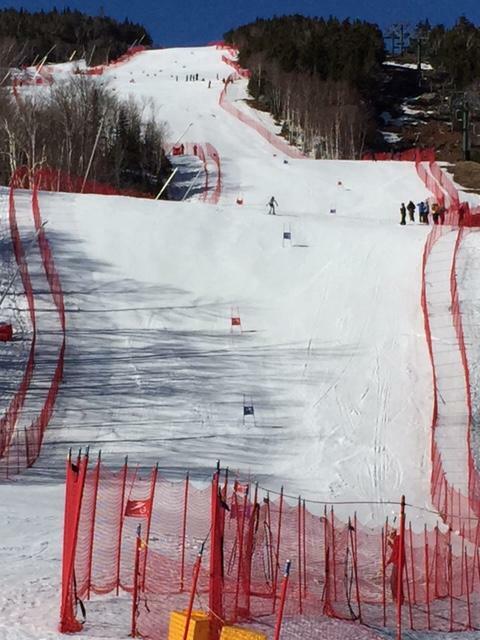 An open FIS was held today at Stratton Mountain. They are planning on running another tomorrow. 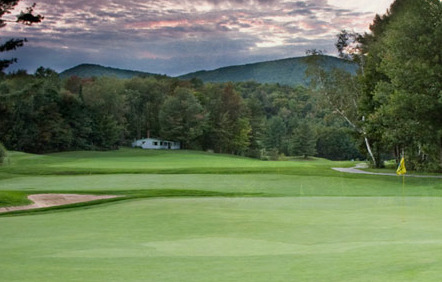 GMVS will be hosting 2 slaloms at Sugarbush on Friday Dec. 18th! 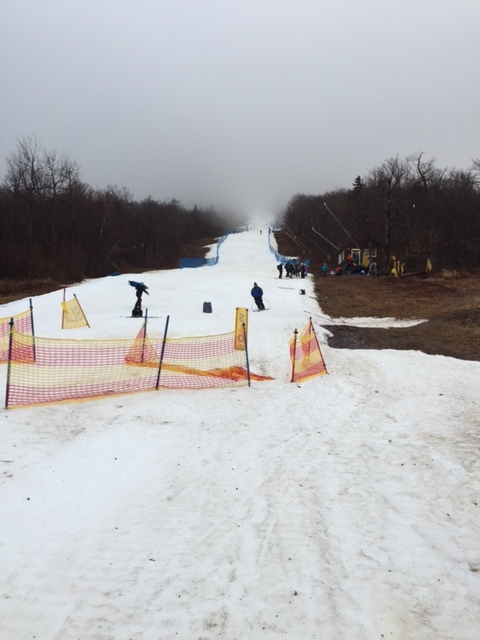 Sugarbush also held the first race of the VARA season on Dec 9th. 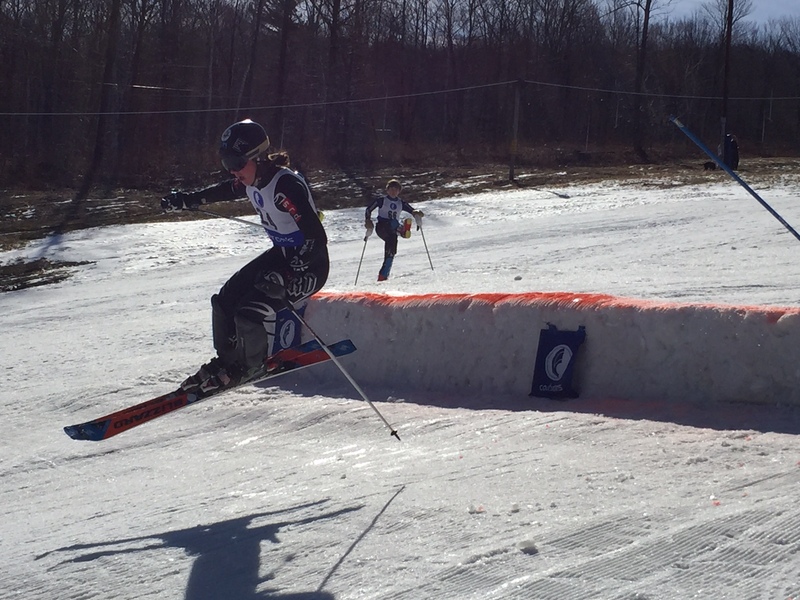 Thank you - Stratton Mountain and Sugarbush - for supporting ski racing through this rough start of the 2015-16 season! 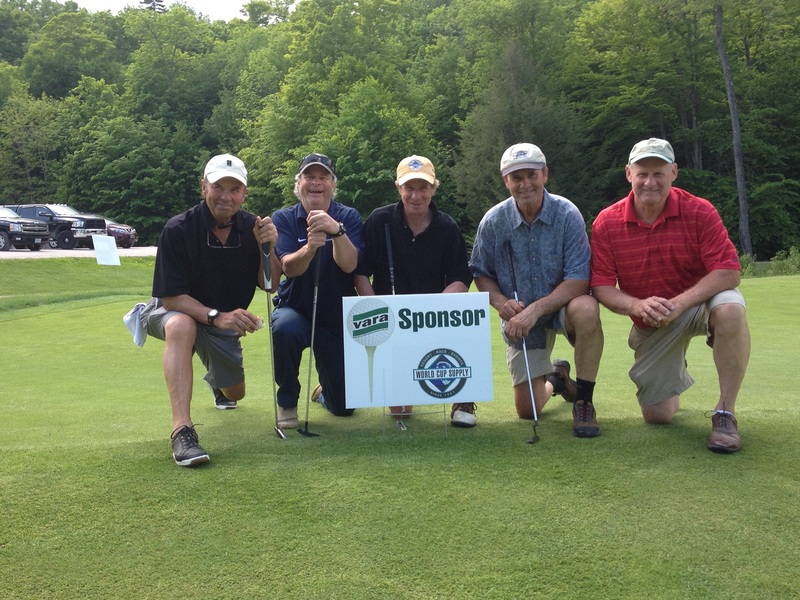 Participants had a great day of golf and fun on the challenging course. Thanks to all participants, sponsor teams, patron teams and hole sponsors! GMNGC once again did an incredible job for VARA and the event, many thanks go out to the club and welcoming staff! Great prizes were awarded to winners and lots of swag was given away in the raffle. Thanks to all the generous support from friends of VARA. Prizes and Raffle Support: Fischer, Marker/Volkl, New Balance, 37 Central-Woodstock, VT, Uvex, Briko, Initial Ideas, Middlebury Snow Bowl, Swix, USSA East, Ski Metrix/Booster Straps. Hole Sponsors: Bob & Colin Devore, Lori Ford Custom Outdoor Gear, Mount Snow Academy, OMARA/Okemo Mtn School, Burke Mtn Academy, Pico Ski Club, Stowe Reporter, Mt Mansfield Ski Club, Okemo Mtn Resort, World Cup Supply, Smuggler’s Notch Resort, Ryan, Smith and Carbine, Ltd., POC, Bromley Outing Club, Fischer, Middlebury Snow Bowl, Marker Dalbello Völkl, Willard, Green Mtn Valley School, Briko, Stifel Co., Magic Mountain, ISport/Vermont Orthopedic Clinic. If you missed the event and want to make a donation, it is not too late! Congratulations to our Vermont Award Winners who were recognized at the USSA Congress Awards Dinner last week. Presented in recognition of service as a USSA official. 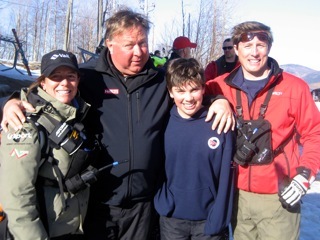 Chuck Hughes has been a coach, parent, FIS technical delegate, Eastern AO Chairman, Program Director at Killington Mountain School, Vermont Officials Chair and a VARA Board Member. He has dedicated much time to the betterment of alpine skiing. 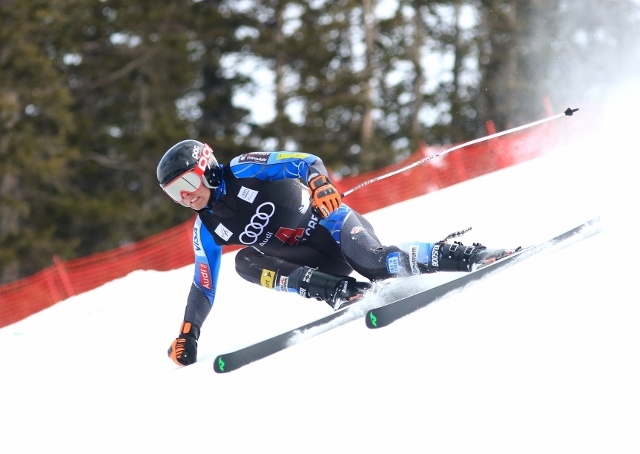 He handles himself with grace and has earned the respect of the national and international community of ski racing. 16 years ago, Steve Berlack left his career to follow his passion and become a ski coach. Over the years, has worked in various capacities at Burke Mountain Academy, honing his craft to become an outstanding development coach. He has coached men and women, U16s and FIS-aged athletes, and has served as Burke’s program director. For the past two seasons, Berlack has been an integral member of the FIS men's coaching staff at Burke. This past season, USSA Eastern athletes won the Regions Cup at the U18 National Championship, in large part due to a group of young men Berlack has coached for the past four years. Middlebury College alpine skier Rob Cone (Killington, Vt.) has been named the National Men's Alpine Skier of the Year by the United States Collegiate Skiing Coaches Association (USCSCA). Cone had a stellar sophomore season at Middlebury in 2015, winning the NCAA Championship in the giant slalom. No men's alpine skier in the east dominated the carnival circuit this year like Cone. He earned the GS Leader Award from the EISA and was a first-team selection. 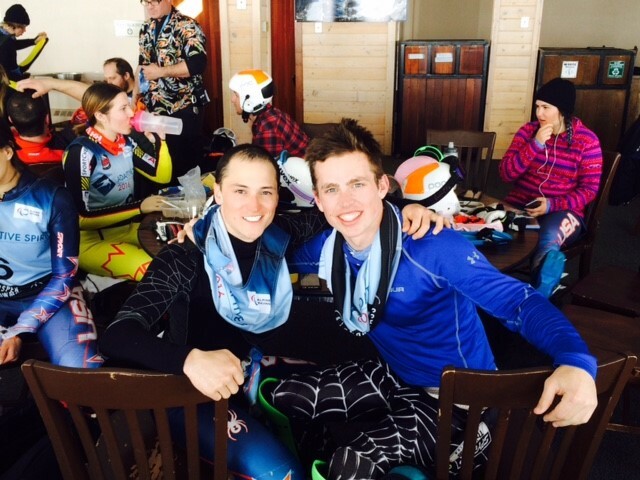 Cone won the first three giant slalom events of the season, placing second and third in two others. 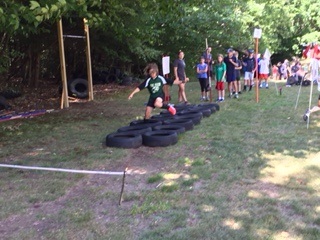 His slalom results were equally impressive with three second-place efforts and one third. Cone finished the carnival season ranked first in the east in the GS and second in the slalom. At the NCAA Championships in Lake Placid, New York. Cone became the first men's individual skiing champion to represent Middlebury atop the podium since Robert MacLeod took home the men's slalom title in 1989. His top finish in the GS earned him All-American honors for the second time in his career (2011). 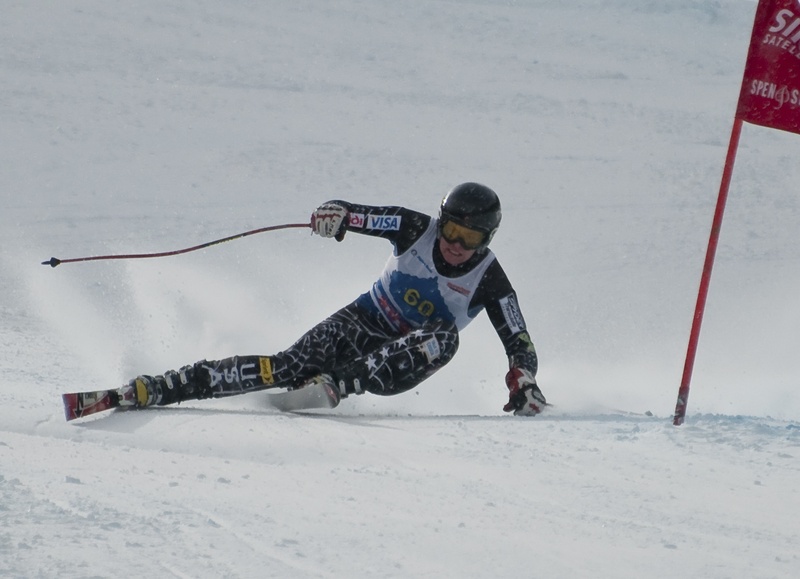 Cone's finish aided Middlebury to win the team national title in the GS event. Relive Cone's NCAA Championship run. 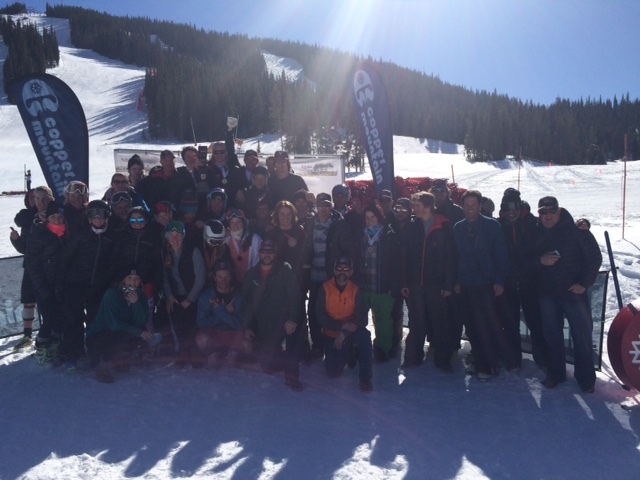 The 2015 U18 Nationals held at Copper Mountain were a tremendous success. The level of competition, venue preparation and overall program was excellent. As a group our 2015 U18 squad came together and really functioned as a strong team- switched on, supportive and really fired up to compete with every ounce of their ability. It was really fun to be a part of. There are too many personal results and stories of success for me to list right now. But there were many. Our group stepped up and performed in every event each day. As it goes in ski racing, some days we could not capitalize on some fast first runs. But none the less, where some athletes faultered on run two and "left some meat on the bone" (thanks coach Steve Berlack), others stepped up to rally. 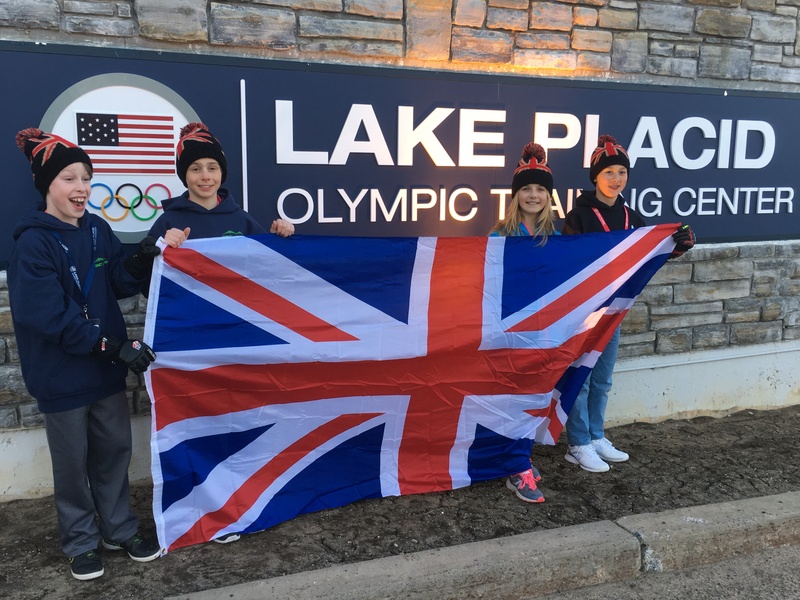 Our girls and boys showed some true courage and grit- the attributes you need in a tough, competitive sport(environment) like alpine ski racing. Finally- As a group representing 10 different home programs and a group of 12 coaches never having worked together as a team we achieved BIG! For the first time in over 10 years our U18 Eastern team won the overall standings and took the Region's Cup. The bell is back East! Go Bucks. The attitude(s), intensity and desire to succeed was there from the get go. Our theme for the event was "total self confidence" and "world class effort" in everything we did. Looks like it paid off………. I am so proud of this group of young athletes and thoroughly enjoyed leading them for the 10 days in Copper CO. Please pass this along to your athletes if you could please. Men's Slalom today March 29th! CONGRATULATIONS to ALL the VARA athletes that competed in the US Championships! VARA athletes, across the age groups, have been performing well at championship events! Great to see from our small state and a testament to our program's commitment to excellence and to developing Vt's young athletes! Congrats To VERMONT- High School Eastern Champs! 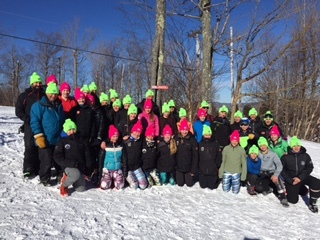 Olympian Bobby Cochran and World Cup Overall GS Champion (Crystal Globe Winner) Marilyn Cochran coached, did course maintenance and cheered the VT High School racers on during the Eastern High SChool Alpine Championships Pictured with the VT athletes, they are center of back row in red Neck Racing hats - a real cool weekend to say the least. 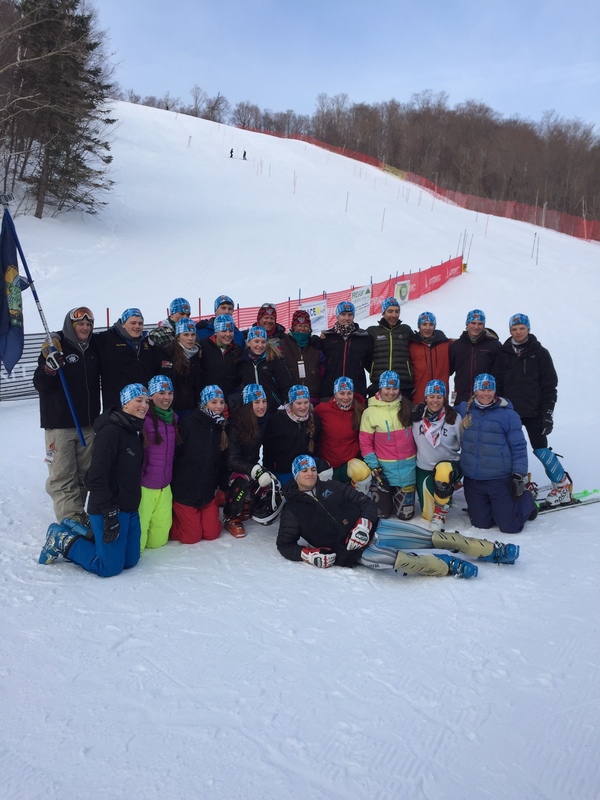 Congratulations to the Vermont Alpine High School Team! VARA is very proud of your achievement! In the ladies slalom VT had 6 in the top 10. Lily Noble won and Sanderson Kemp was 3rd! In the men’s Slalom Andy Kenosh won and there were 4 VTers in the top 10! Eastern High School Champs- VT WINS!! 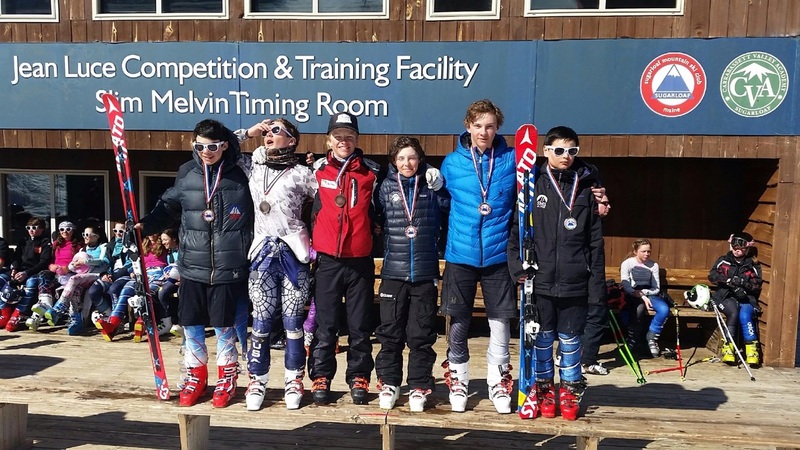 On March 8th the Vermont All State High School Alpine skiing teams won an unprecedented sweep for Vermont at the Eastern High School Championship for both boys and girls. 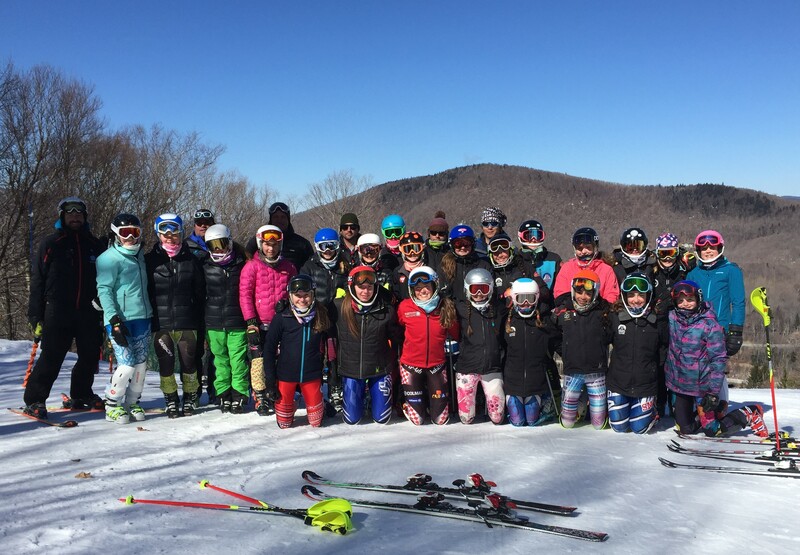 There were 13 states from east of the Mississippi who competed with teams of 12 boys and 12 girls each for a two day event at Cannon Mountain in Franconia , NH. Woodstock Union High School had a busy week having clinched the same two State titles on Tuesday, then arrived at Cannon Saturday with 4 athletes who were named to the Vermont Team, girls Holli Olson and Lilly Noble, along with boys Charlie and Jake Kelly - Ian Clarke was unable to participate after being named Woodstock's first to the State team. The four racers contributed to a historical sweep not seen for Vermont in the 33 years of the championship. 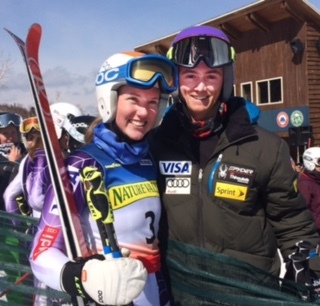 Of note, Lilly Noble won the giant slalom event Saturday and placed well in the first run on Sunday, the remainder of the VT team all contributed valuable points to a rather large margin for the win, New Hampshire being runner up. Below the VT girls happy with their success. VARA athletes competing in the U18 Alpine National Championships in Copper Mountain, CO enjoyed great conditions and exciting racing. Vermont competitors favored very well in the results and contributed greatly to the Eastern region winning the regions cup! VARA would like to congratulate the VT participants on some great results! VARA is proud to have had such fine representation at the U18 Nationals! 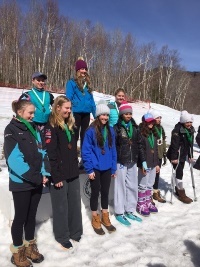 In the U18 Women’s Slalom Vara competitor Nina O’Brien from BMA earned Gold and Madison Lord also from BMA had a Bronze . VARA had 3 racers place in the top 10. Sandra Schoepke of MMSC was 10th. In the GS , Nina O’Brien was 3rd and Madison Lord finished 9th. In the Women’s SG, Ali Price of BMA was 8th and Olivia Gerrard of BMA was 9th! Ali Price of BMA finished 6th in the second DH. 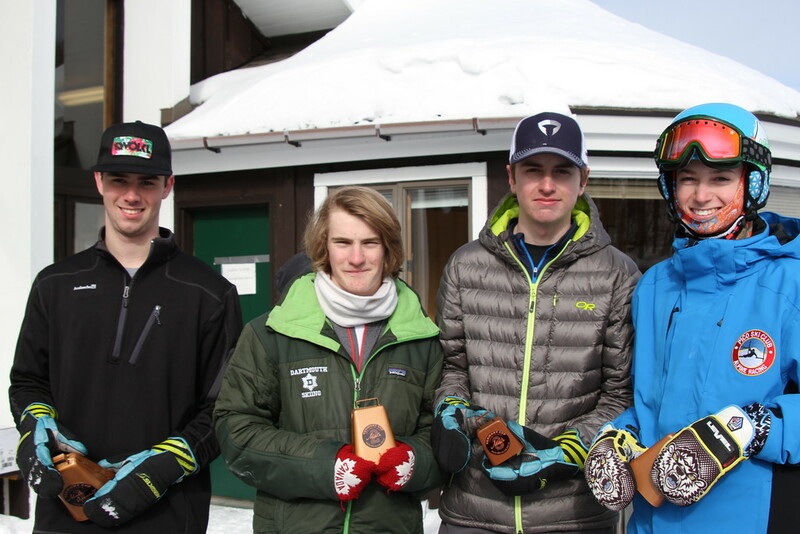 The U18 VARA Men performed well, George Steffey of SMS earned a silver medal, Spencer Smith also from SMS was 6th and Logan Slattery of GMVS was 9th to round out the top 10. For the U18 GS VARA had 4 skiers in the top 10. Patrick Kenney from BMA won the gold, Paul Sheils also of BMA was just off the podium with a 4th, George Steffey(SMS) was 6th and Logan Slattery(GMVS) was 10th. Great showing by the VT boys and the East! VARA skiers swept the SG podium and had 5 in the top 10, Christian Gallagher from BMA took the Gold, Silver went to Logan Slattery(GMVS) and Bronze went to Kalle Wagner of BMA. Paul Sheils (BMA) was 6th and Mathew Wilson of BMA finished 10th. In the 1st DH of the U18 Championships VARA had 4 in the top 10! Logan Slattery(GMVS) earned the Bronze while Jack Despres of GMVS was 6th, Pate Campbell of GMVS was 8th and Kalle Wagner(BMA) was 10th! In the second DH of the series, Patrick Kenney (BMA) earned the Sliver and Jack Despres (GMVS) the Bronze and Christian Gallagher of (BMA) was 5th. For results click the hyperlinks below. U18 Nat Regions Cup- Congratulations to the Eastern Region! U16 Eastern Championships Whiteface, NY. For full results please see the NYSEFF Website or links below. U16 Regionals- VARA had a very dominant showing on the top end. U16 MVP Health Care VARA State Championships: Congratulations to VARA competitors! This schedule is subject to change! Qualified athletes will be notified. Please contact your regional manager with any questions. eharlow@ussa.org or tashworth@ussa.org. US NATIONALS coming up at Sugarloaf, Maine – Schedule I son the announcements page of www.vara.org. VARA GEORGE TORMEY SERIES FINALS - SAT March 21 Slalom at Killington and SUN March 22 GS Okemo – Overall standings awards, sponsored by Fischer , will be given away at the completion of the race! Standings page. Watching the World Championships in Vail, Colorado, this past week, we were inspired by the athletes and reminded of what makes ski racing such an amazing sport. The skiers’ performance was incredible. Ted’s second run of GS was for the ages and had everyone on the edge of their seats. Mikaela’s win in the slalom was an historic American moment; the energy of the crowd propelling her on to victory stands out in my mind as one of the signature moments of these championships. As do the incredible accomplishments of Tim Kelley, 23rd in the slalom and Nolan Kasper who also made the World Championship Team from VT. 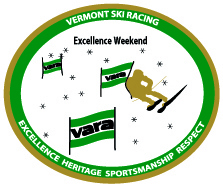 The VARA Excellence Weekend is an opportunity for the Vermont ski racing community to remind ourselves of the gifts that our sport bestows, to give thanks for those who volunteer and for those who work tirelessly to provide an incredible life experience for countless children and individuals. Equally important, the Excellence Weekend is an opportunity to celebrate the winter mountain lifestyle and the spirit of competition. Ski racing is not an individual sport. This may seem counterintuitive to some, but having been involved with ski racing for over 30 years, I have come to appreciate the deep underlying fabric that weaves together individuals, teams and communities. 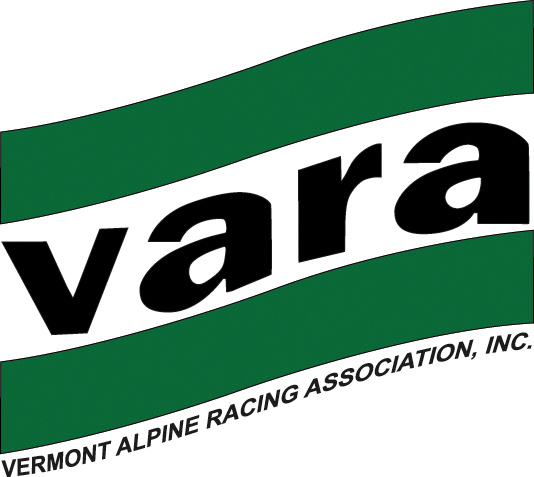 VARA could not exist without this group effort, and this weekend we come together in groups across the state to recognize and celebrate the efforts of those who make ski racing possible. This weekend and all winter long, please take the time to thank race workers and officials, ski area managers, lift attendants, cafeteria workers, snowmakers, groomers, ski patrollers and other resort employees for all that they do for us. 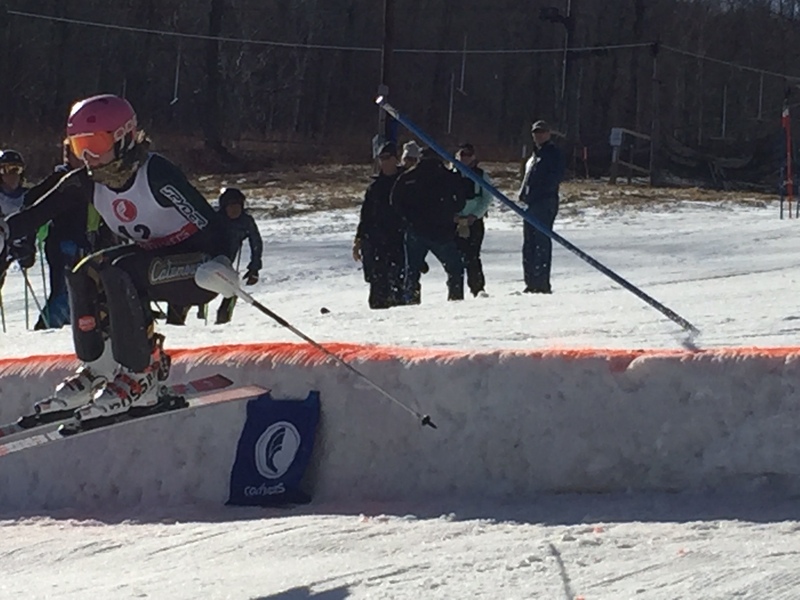 Also, take a moment this Excellence Weekend to reflect on VARA's goals, which we hope are part of your family's ski racing experience this season. Lifestyle - To recognize skiing as a life-long sport and to promote ski racing as a healthy, fun and constructive life-style. 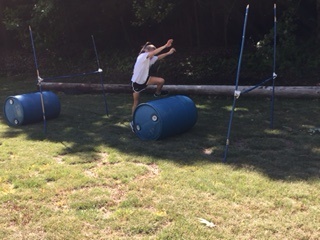 Competition - To create and maintain a clear path that assists VARA athletes in reaching their highest level of age-based competition. Community- To promote a strong alpine racing community through communication, education and innovation. Scholarship -To provide scholarship opportunities for VARA athletes through fundraising and promotional events. 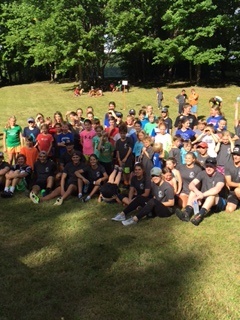 These Goals reflect our Vermont commitment to the pursuit of greatness in competition, but also to a pursuit of a lifestyle that brings families and friends together for an experience that helps promote physical well-being, a love for the out of doors, stronger communities, and life-long memories and connections. Volunteers will be given a token of appreciation provided by Camp Trucking Inc., and a big THANK YOU from VARA racers!! 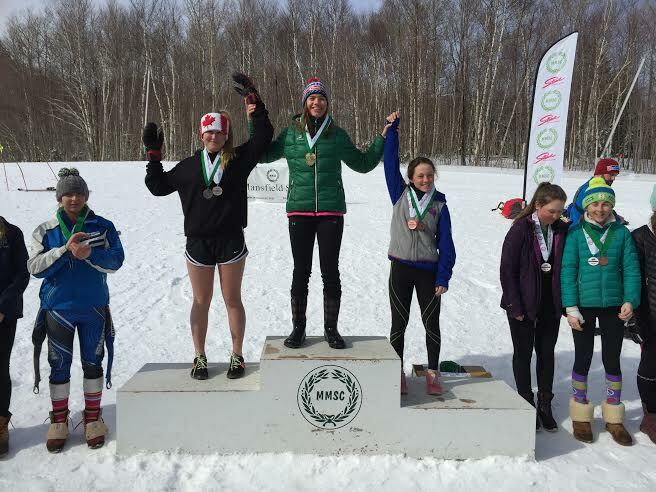 Congrratulations to yesterday's podium winners at the Vermont Cup Finals, Karl Acker memorial at Pico and the Vermont Cup overal athletes. Congratulations! And best to all in the post season events!!! 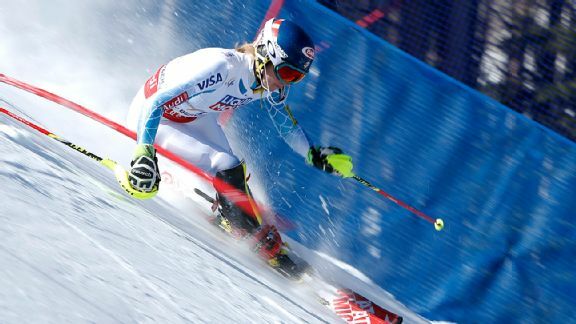 Congratulations To Mikaela Shiffrin on her Gold Medal in slalom at the 2015 World Championships! Mikaela is a BMA graduate and came up through the VARA council system. 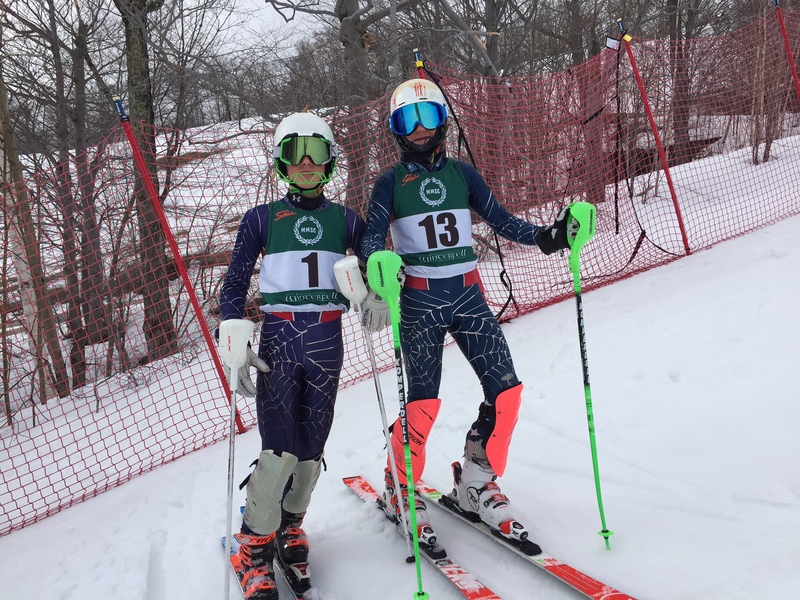 Congrats to Vermont alpine racers who made the USA World Championship Team, Tim Kelley of Cochran's and UVM, Nolan Kasper from BMA and Charlie Raposo (GBR) and GMVS. 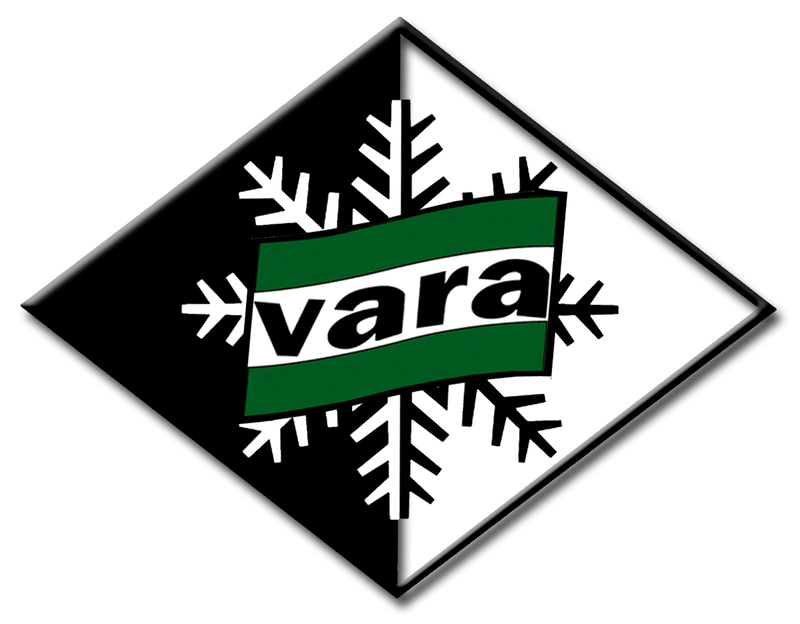 Please join the VARA community along with race venues hosting events on the 7-8 of March in showing THANKS to our VARA volunteers, officials and resort operators. The dedication of these individuals is more valuable than only one weekend of thanks and appreciation. Their commitment should be realized every boot buckle, every early lift, every time a bib is handed back or a trail is perfectly groomed - all year long. The simple show of gratitude is deserved and it will bring a smile to that hard working persons face and make an impression that could change our sport. 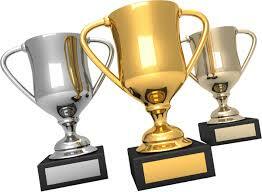 This year the MVP Health Care VARA State Championships for U16 and U14 will fall on Excellence Weekend. 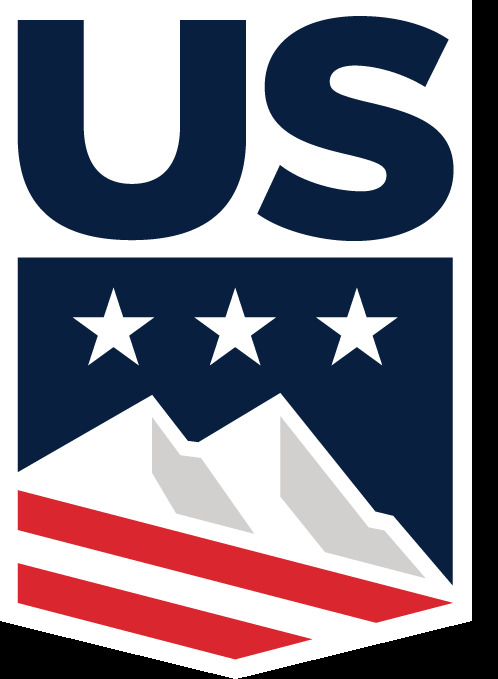 Team USA ski hopefuls Ronnie Berlack of Franconia NH and Burke Mountain Academy and Bryce Astle of Sandy, Ut and Snowbird Ski Team, have died in an avalanche in the Austrian Alps while skiing close to their base near Soelden. 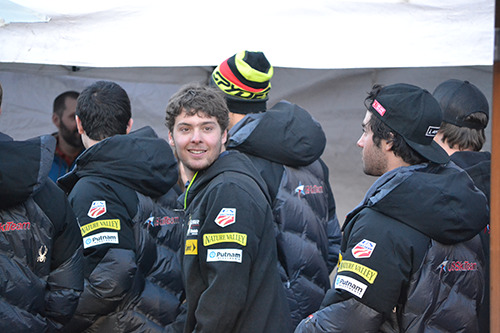 Pictured is Ronnie with his US Ski Team teammates and racing at Beaver Creek. Reception at Burke Mountain Base (Sherburne) Lodge following the memorial. BMA alumnus Peter Murphy owns the Comfort Inn in St. Johnsbury and has a block of rooms reserved for those attending the memorial on Monday and Tuesday night. He set the rate at $100 a night and all proceeds from the rooms will be donated to the charities that the Berlack's identified. The phone number to call to book the rooms is 802-748-1500, mention the Berlack Memorial. We in the process of procuring lift tickets at Burke Mountain for Tuesday so that those that choose to can ski in the morning before the Memorial Service. Those details are still being worked out. Ronnie's service is going to stream live on www.nsnsports.net on Tuesday at 3:15 PM. It is with great sorrow that I write this note to the VARA community. Former VARA Team athlete, BMA graduate and US Ski Team member, Ronnie Berlack, passed away after getting caught in an avalanche in Soelden, Austria on January 5th. Four other skiers were able to ski out from the avalanche, but US Ski Team athlete Bryce Astle, from Sandy Utah, was also caught and died along with Ronnie. Our hearts and prayers go out to the Berlack and Astle families. Ronnie was an aspiring USST athlete with great promise for the future of US Skiing. 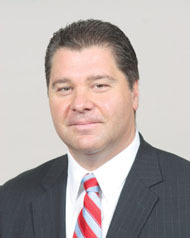 Kirk Dwyer, BMA Headmaster wrote, " There is no one who better represents our core values than Ronnie." As a respectful and respected young man, Vermont was proud to have Ronnie representing us on the international circuit. Our thoughts are with the Berlack family, Ronnie's friends and Burke community. Please join me in remembering Ronnie and offering our most sincere condolences to his family. VARA is proud to announce the 2015 VARA Team. Congratulations to the athletes that have earned the privilege to wear the VARA Team jacket and hat !! The team will be announced at the VARA Gala on November 8 at the Equinox Resort in Manchester, VT., where the athletes will be introduced and awarded their jackets. We hope to see many from the ski racing community in Vermont in attendance! There will be a formal invite going out and which will be posted on the VARA website with reservation information. Thanks and congratulations to the 2015 VARA Team! This award is presented to an athlete who excels at a 2nd sport and best displays a strong work ethic, strong character, and a deep love of sport. This recipient must be a Vermont resident. 1) Displays dedication and commitment to the sport of ski racing at all levels. (College, VARA, FIS, etc.) 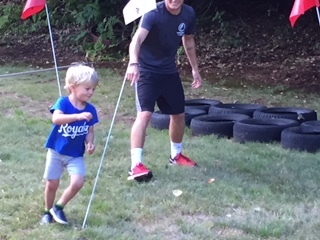 2) Inspires younger athletes by being strong role models and displays leadership both on/off the hill. 3) Shows interest in the development and future of the sport of ski racing. This award is presented to a U21-16 level athlete who has attained top results while participating in a club program. This award is presented to an athlete competing at the FIS levels, is a Vermont resident and has come up through the Vermont Council system. 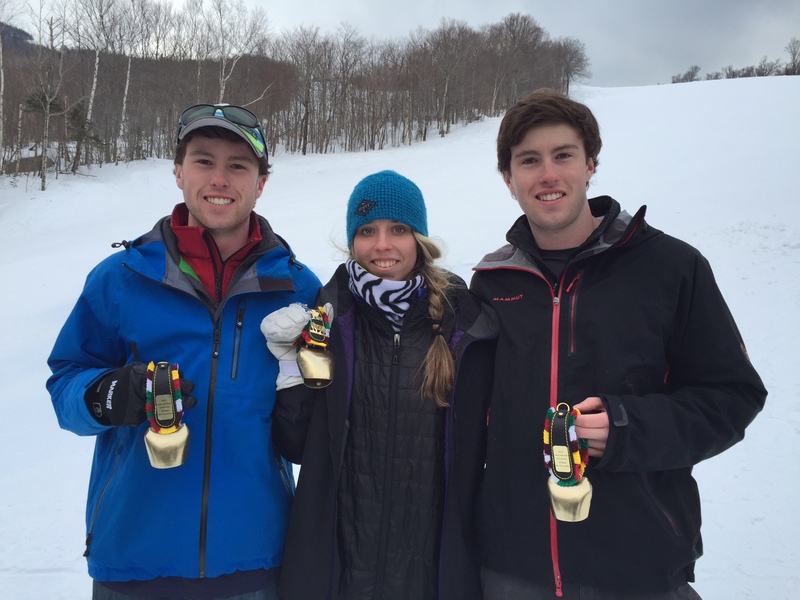 The Vermont Alpine Racing Association is pleased to create and support the Shelley Glover Scholarship. 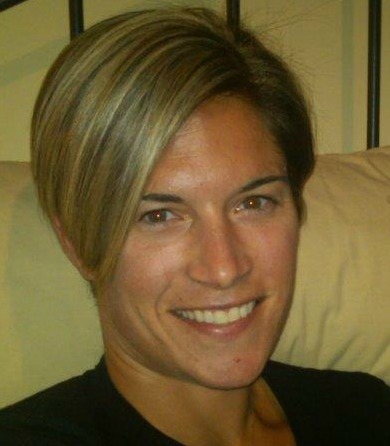 Shelley attended Burke Mountain Academy becoming an admired member of the ski racing community. In an effort to honor her contributions and impact on those around her this scholarship will be presented yearly to a young individual who exemplifies the qualities Shelley was best known for. The following criteria will be used to determine the recipient. Shelly’s family, friends, coaches and teachers created these guidelines. The Gala Committee of the Vermont Alpine Racing Association has announced its Honorees for its 2014 Celebration of Vermont Ski Racing Gala planned for November 8, 2014 at The Equinox in Manchester, VT.
Diann Roffe, an alumni of the Burke Mountain Academy, and the US Ski Team, has been selected to be inducted into the Vermont Ski Racing Hall of Fame for 2014. Diann is a 3 time Olympian 88, 92, 94, and a 3 time member of the USA World Championship Team 85, 89, 93. Diann was a committed athlete at the Burke Mountain Academy for her High School years 1982-1985. Since her 3 Olympics she worked for Turner Broad Casting in Nagano and for the USOC for the Salt Lake games. Diann and her husband, Art Pursel, live in Camp Hill, PA with their son Tripp. She is co-owner of a company called ALPINEOne Inc. which specialized in lockers and drying systems for ski areas, as well as universities and sports teams. She is spending a lot more time on snow with her family and coaches at Roundtop Ski Area in PA.
1985 World Championships in Bormio, Italy: Gold medal in Giant Slalom at age 17. 1992 Winter Olympics in Albertville, France: Silver medal in Giant Slalom. 1994 Winter Olympics in Lillehammer, Norway: Gold medal in Super G.
1994 World Cup Finals in Vail, Colorado: 1st Place in Super G, her final World Cup race. Won 6 U.S. National titles. Inducted into the National Ski Hall of Fame in 2003. 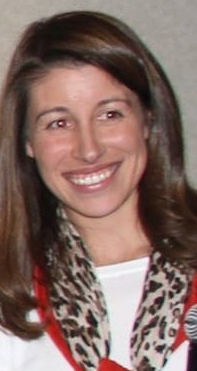 Katie Mallia, Stratton Winter Sports Club, has been selected as the Vermont Development Coach of the Year. 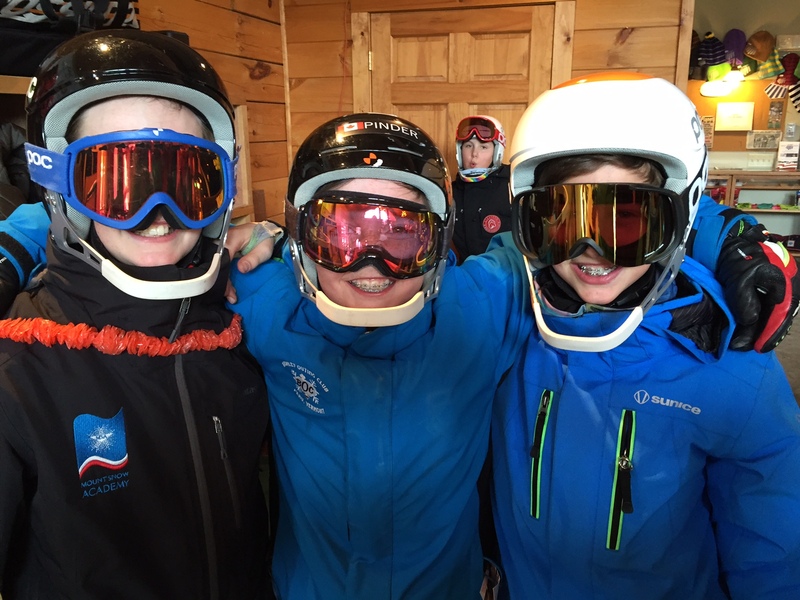 Katie is presently the head U12 Coach at Stratton Winter Sports Club. Katie has been working with the SWSC for over 5 years and is a dedicated and talented member of their race organization. She works a full time job mid-week in Albany and doesn’t miss a day all winter on the weekends. Katie’s leadership, knowledge, and connection with the kids and coaches is a model for the SWSC. 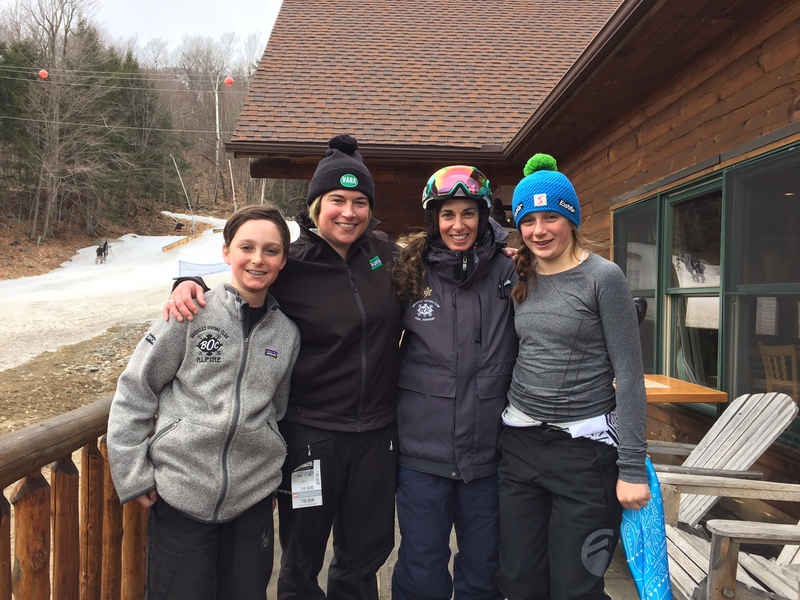 Katie grew up racing as a VARA member in the Southern Vermont Council system, and is carrying on her dad’s legacy, who has been a long time coach at Stratton as well. Topher is entering his third season as the MMSC Head Women’s Alpine Coach following three years of coaching U16’s and the Women’s Alpine Team. Topher, who grew up in North Conway, N.H., raced for Plymouth State University where he was a seven-time All-American. Prior to working at MMSC, he was the head alpine coach at Plymouth State College. Topher models respect and patience with his skiers. His goal is to understand them as whole people and support their individual goals and dreams. He is “laid back”, but firm. He communicates the value of hard work and expects it from everyone. He also understands the lasting value of teamwork and the lifelong community that ski racing builds. His philosophy has inspired other coaches to be steady and thoughtful as they plan for the future. 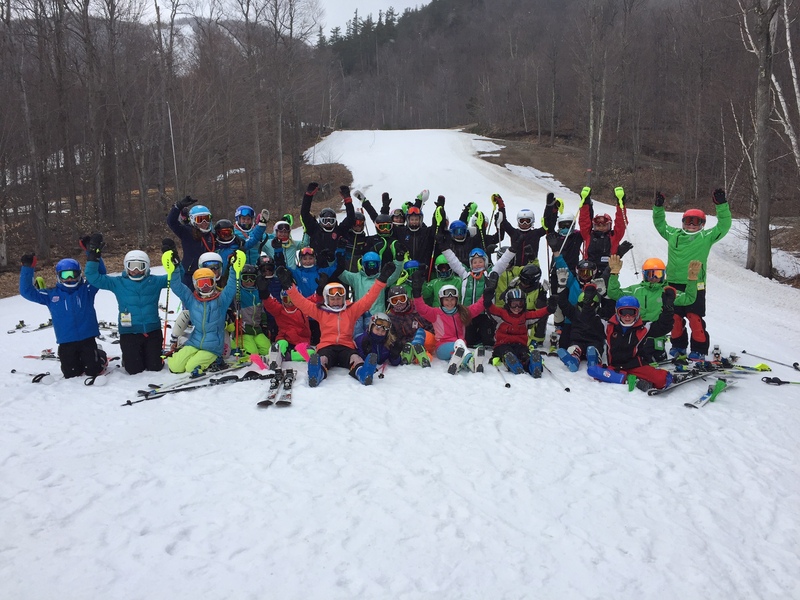 He is helping to strengthen Vermont ski racing through his coaching expertise and his ability to build lasting relationships with athletes, parents, officials, and colleagues. Topher lives in Stowe where he recently bought a house and is the golf pro at Stowe Mountain Resort. Robert Mangiacotti, Bromley Outing Club/SVC, has been selected as the Vermont Alpine Official of the Year. In 2008, Bob, his wife Mary and family relocated from New Jersey to Vermont allowing their children to pursue competitive alpine ski racing at the Stratton Mountain School. Bob started officiating, as most parents do, when his children became involved in ski racing. He has been a Technical Delegate since 2011 and has been volunteering and working in skiing in Vermont for over 7 years. 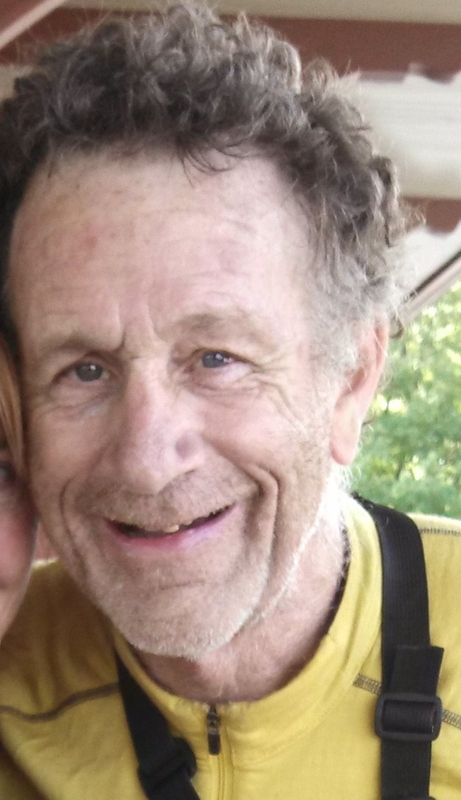 Bob is a dedicated and talented member of Bromley and Stratton Mountain’s race organization as well as a Technical Delegate for the United States Ski Association and of Vermont Alpine Racing Association across the state of Vermont. Bob has been selected as the VARA Alpine Official of the Year for his work throughout the state and his commitment to alpine ski racing in Vermont. Bob has two children who race in the Vermont system and his wife is currently teaching at SMS. Dave Iverson, Burke Mountain Academy has been selected as the VARA Volunteer of the Year for his tireless efforts on behalf of Vermont Ski Racing. Dave has been on the VARA Board of Directors for 7 years and was the 2005 Alpine Official of the Year. He is teacher and race organizer at Burke Mountain Academy for 7 years . He has been a leader in the state, helping with the Race Administrator clinics, Alpine Official updates and creator of the “Never Ever, First Timer AO update”, an event Dave organizes and runs on his own time. Dave has also created helpful YouTube channels for BMAPhysics and SkiRaceHelp, which feature video lectures on Physics, Calculus, Race Timing and Administration and assorted topics in math. He has posted in excess of 350 videos which have received over 50,000 views. Dave is available and willing to assist at all times with technical scoring, timing and race administrator issues as well as being a vocal member of the VARA Board of Directors. He is always thoughtful of the athlete and student first. Simply stated, he has exemplifies a commitment to VARA's missions of Lifestyle, Competition, Community and Scholarship. The Vermont Alpine Racing Association Celebration will be held on November 8, 2014 at The Equinox in Manchester, VT.
Congratulations Diann, Katie, Topher, Robert and Dave. 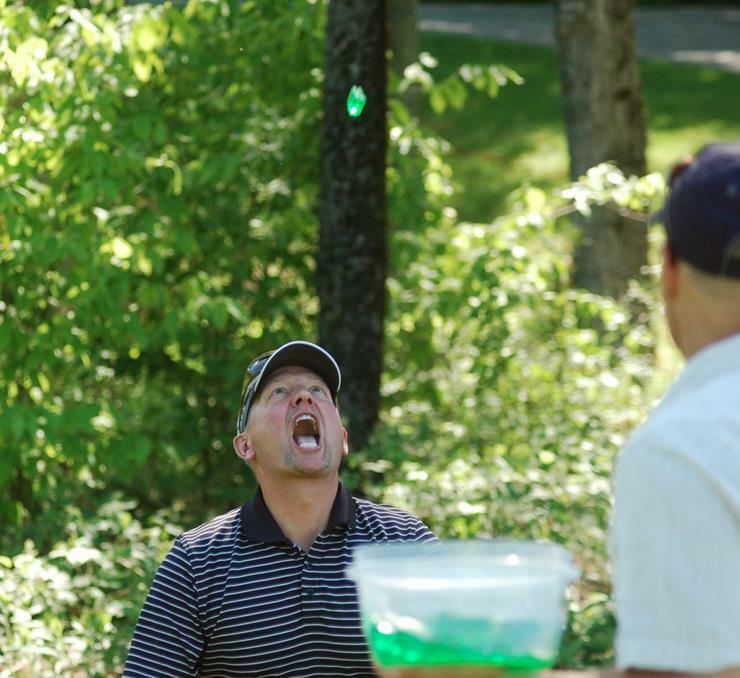 On June 3, 2014, 16 teams made up of friends of VARA arrived at the Green Mountain National Golf Course in Killington, VT to enjoy some fun chasing the little white ball around! The day was filled with networking, laughing, lots of sun and a very little bit of rain! Participants enjoyed complimentary hotdogs supplied by POC and a choice of complementary beverages courtesy of World Cup Supply. 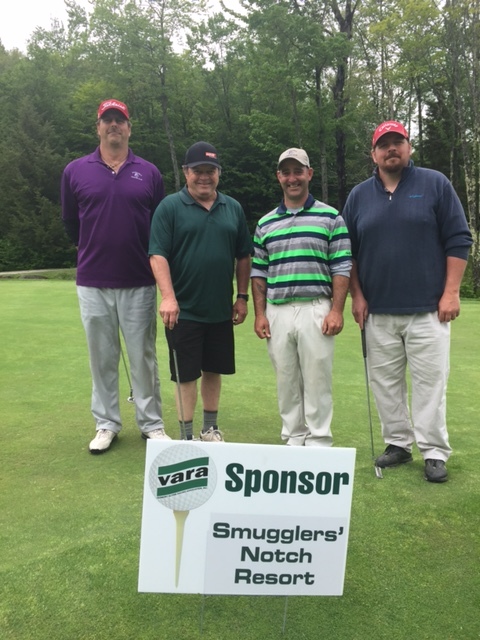 Many thanks go out to the VARA Golf Classic Teams and hole sponsors! Ryan, Smith & Carbine Ltd. The 2013-2014 World Cup season has begun. Congrats to Mikaela Shiffrin for an incredibile start to the season and to all the VT and American athletes making their mark! 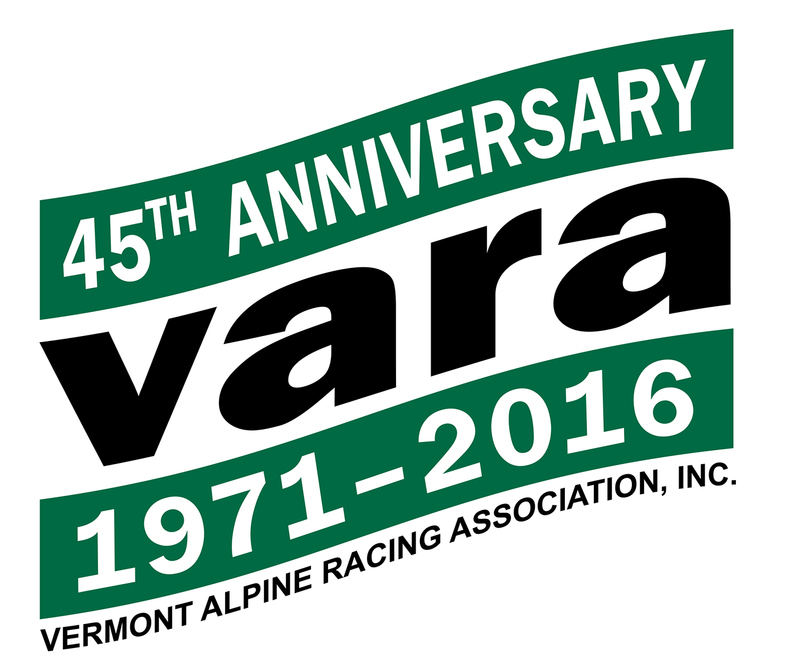 The VARA Gala was a fantastic evening of celebration for Vermont's ski racing's past present and future! Held on October 26th at the majestic Stowe Mountain Lodge, over 200 ski enthusiasts showed up to witness the deserving honorees acceptance of their awards! Many thanks go out to the attendees for making the trip to Stowe, to the honorees for their dedication to a sport we hold very dear and to the individuals who worked so hard to make the event a success. The Stowe Mountain Lodge offered an awe inspiring setting, a delicious dinner and a professional and friendly staff. Everyone had great time reminiscing and listening to inspirational stories that brought about feelings of pride and reminded all of the great tradition and heritage that VARA is made of. Visit the Stowe Reporter for a great article about the event. 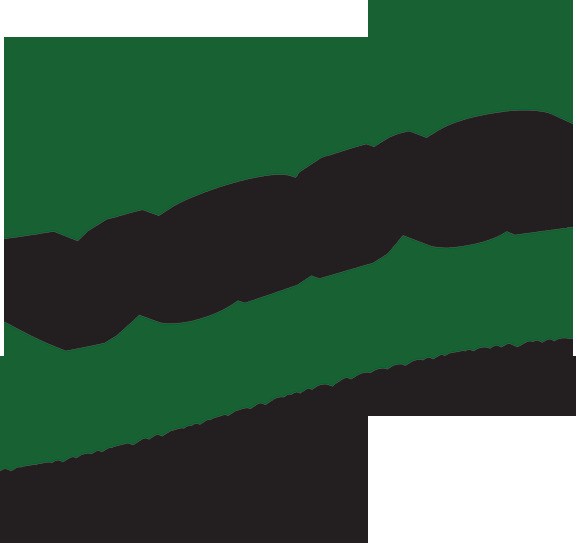 The Gala Committee of the Vermont Alpine Racing Association has announced its Honorees for its 2013 Celebration of Ski Racing Gala planned for October 26, 2013 at the Stowe Mountain Lodge. 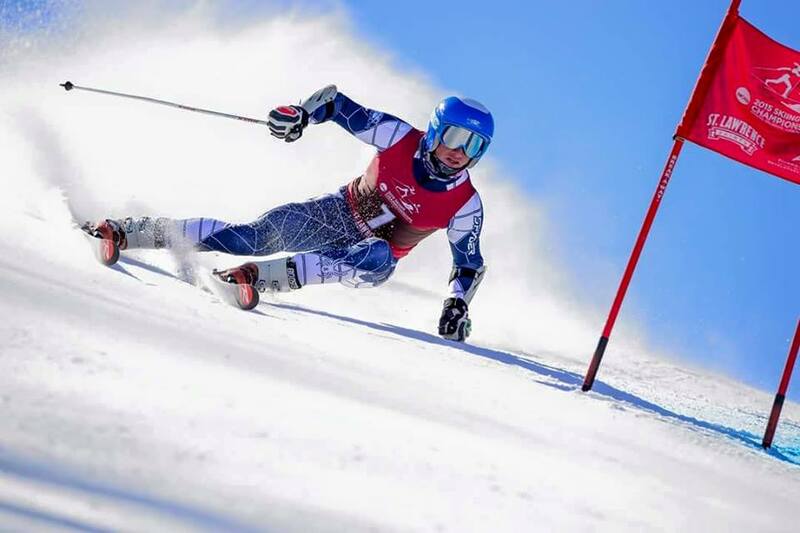 Jesse Hunt , an alumni of the Mount Mansfield Ski Club, Burke Mountain Academy, University of Vermont and the US Ski Team, has been selected to be inducted into the VARA Ski Racing Hall of Fame for 2013. 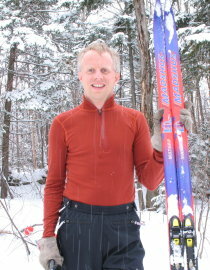 In 2002 Jesse took the position of U.S. Alpine Director reviving a position that had not existed since the mid- nineties. His responsibilities were wide ranging, overseeing development and everything from grassroots programs to the men’s and women’s World Cup teams. Hunt came up through the Vermont council system. He attended Burke Mountain Academy and was a promising young ski racer, he was twice named Ski Racing’s Junior Alpine Skier of the Year (1983,84). 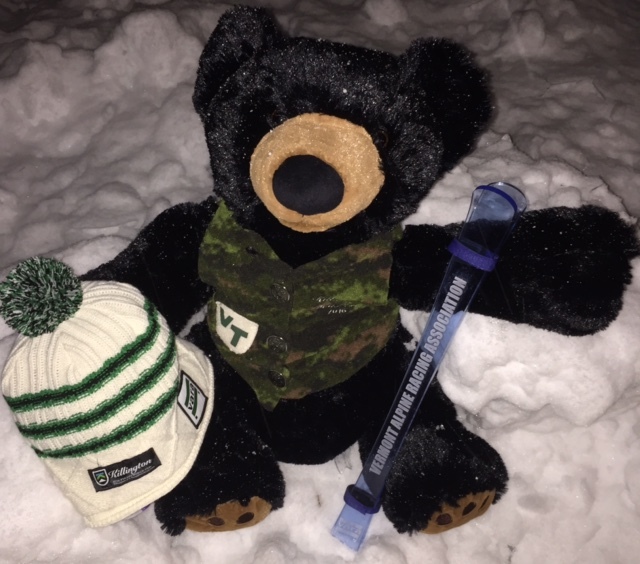 Jesse went on to have a successful tenure at the University of Vermont where he was an All American selection as a member of the 1988 and 1989 University of Vermont Ski Team and a key member of their 1989 National Championship Team. His more substantive contributions to the sport have come as a member of the US Ski Team Men’s Europa Cup and World Cup Coaching Staff, and later as Alpine Program Director for USSA, where he led the organization and was instrumental in the development of the women’s alpine team. During his time with the USST Jesse was a key part of what is described as the most successful stretch of alpine results in US Ski Team history which includes 4 overall World Cup titles, 12 Olympic medals and 18 World Championship medals. His coaching responsibilities have included, Daron Rahlves, Erik Schlopy, Bode Miller, Lindsey Vonn, Julia Mancuso, Ted Ligety and many more who were up and coming US Ski Team members during Jesse's reign. After 16 years with the U.S. 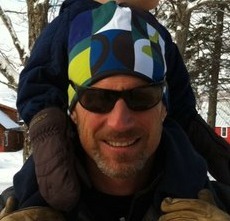 Ski Team, Jesse is presently the Alpine Program Director at Park City Ski Club. He and his wife Anne Kari, a University of Utah Nordic star from Norway, live in Park City with their two children. Vermont Development Coach of the Year. Kraig graduated from of the University of Vermont. Kraig currently back at his Alma-mater (class of '83), is entering into his third year at BMA, coaching the FIS level men. Previously, Kraig spent 6 years of coaching with the US Ski Team, gradually working his way up to the position of Head Women's Europa Cup Coach. With over 20 years of coaching experience including 5 years as the Executive Director of the Smugglers' Notch Ski & Snowboard Club, one year as the Head Women's Coach for BMA, former VARA president, 4 years as the Head Coach of the Steamboat Springs Winter Sports Club, Kraig strives to bring his lessons learned and philosophy to his athletes. As an athlete, Kraig went straight from BMA to the US Ski Team where he raced the World Cup and Europa Cup circuits 1984-1987. 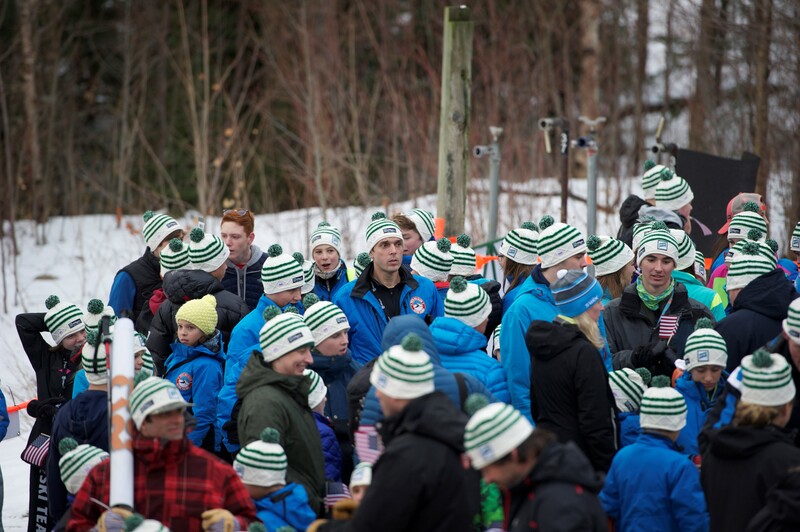 Guy Garofalo, Killington Mountain School has been selected as the Vermont Junior Development Coach of the Year. Guy, a Brattleboro, Vermont native began his love of the sport teaching himself to ski in his back yard. Guy went on to become a regular at MT Snow moving there as a youngster with his family. Guy is a UVM alumni and after graduating he helped found the Mt. Snow Ski Education Foundation. Bill McCollum later hired him to work at KMS and Guy has since been coaching juniors at KSC and KMS for 35 years. Kim Brown, Mount Mansfield Ski Club, has been selected as the VARA Alpine Official of the Year. Kim has been working with the Mount Mansfield Ski Club for many years and is a dedicated and talented member of their race organization. Kim helps out at various race sites whenever he is able. Kim's leadership and organization of race day officiating were key elements for his selection. Lynne Sullivan, Mount Snow Winter Academy has been selected as the VARA Volunteer of the Year for her tireless efforts on behalf of Vermont Ski Racing. Lynne has been on the VARA Board of Directors for more than 15 years, serving as Treasurer for the last four and as a member of the VARA Scholarship Committee. She has been a leader in the Southern Vermont Council, helped create the Mount Snow Winter Academy, is currently headmistress of MSA and has raised 8 children all involved in skiing and currently has 15 grandchildren. Simply stated, she has exemplified a lifelong commitment to VARA's missions of Lifestyle, Competition, Community and Scholarship. The Vermont Alpine Racing Association Gala will be hosted on October 26, 2013 by the Stowe Mountain Lodge in Stowe, Vermont. Congratulations Jesse, Kraig, Guy, Kim and Lynne. Alex Krebs brings many skills to the VARA Community. In her role as the Eastern Youth Development Manager since 2007 she has organized and directed National and Eastern youth projects and camps. She provided leadership and guidance for these projects including curriculum design, execution, team selection and assessment. Alex has acted as an integral part of the Eastern Region’s Children’s committee for the past 7 years as well as attending Development Committee meetings to assure communication to allow Eastern Region to act as one for the region's youth. Alex brings organizational and communication skills not only from her most recent position but also from her experience as Smugglers Notch Ski and Snowboard Club Director from 2004-2006. 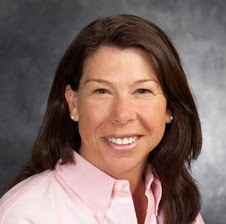 In addition to her communication and organization skills she also has first- hand athlete experience as Alex was a member of the UVM Ski Team and graduated in 2002 as well as a US Ski Team athlete from 1995-1999. Alex came up through the VARA Council system and went to high school at Green Mountain Valley School. Alex will be an integral part of the grassroots VARA Community and bring not only the association but VARA’s youth, clubs and coaches educational programs to the next level! Jesse Hunt, a Former VARA Athlete racing out of MMSC and Burke, USST member and UVM Alum. After 16 years with the United States Ski & Snowboard Association (USSA), most recently as the US Ski Team Alpine Director, Jesse joined the Park City Ski Team Program in June, 2009. During his time with ethe USST Jesse was part of what is arguably the most successful stretch of alpine results in US Ski Team history which includes 4 overall World Cup titles, 12 Olympic medals and 18 World Championship medals. VARA is very proud to be inducting Jesse into the VARA Hall of Fame! VARA Golf Tournament from Vara on Vimeo. VARA Competitors Making the USST!!!!!! 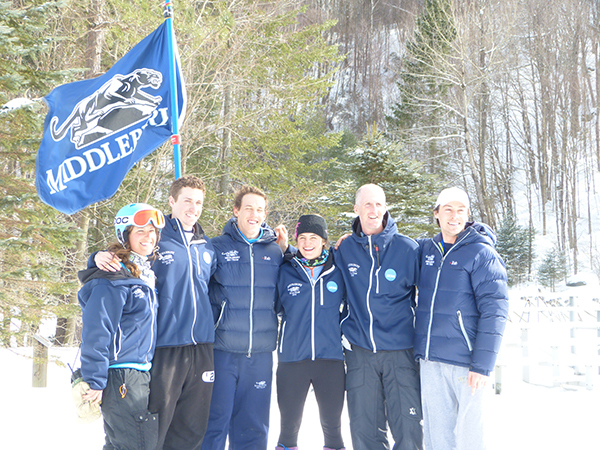 Congrats to the Middlebury men's team for winning the 2013 NCAA Slalom Championship for the second year in a row! David Donaldson 2nd Hig Roberts 6th Andrew McNealus 21st Congratulations to Mary Sackbauer for her All American 9th place finish in the GS on Wednesday. Incredible performances! !